To the contrary, industrial carts are highly ergonomic and are designed with operator and picking position in mind. Carts often present in the golden zone, presenting at the optimal operator height. Tilt and rotate carts are effortless to use. Wheeled carts are used in virtually every industry serving a variety of manufacturing and distribution purposes. These wheeled carts are often unassuming and overlooked, but are an integral component of efficiency and personnel safety. From the manufacturing floor, to the back of 18-wheel tractor trailers, and the store backroom, wheeled carts support each step of the distribution cycle. In total there are more than 40,000 Topper Industrial carts in operation throughout the world. Holding more U.S. ergonomic patents for industrial carts, Ed Brown continues to provide a wide variety of products that meet documented ergonomic standards for wheeled cart use. Ed and his team of Topper Industrial engineers have taken the principles of basic ergonomics and integrated them into each cart. 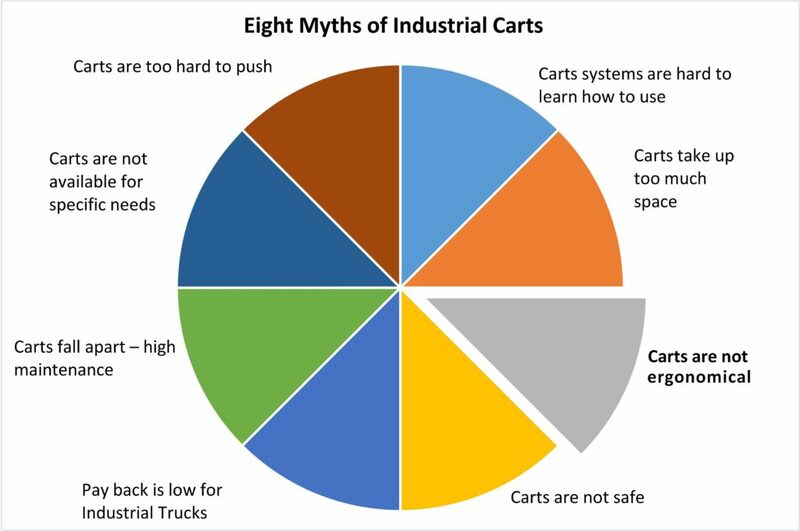 Illustrating the importance of ergonomics in wheeled cart-based material handling systems, the myth that industrial carts are not ergonomic is patently false since ergonomics are the primary consideration and factor in the design process of Topper carts. Ergonomics principles developed as a means of improving work efficiency after factories became more prevalent (post-industrial revolution). Industrial engineers, with a goal of improving manufacturing facilities, began using ergonomics principles in the 1950’s. Since then the principles of ergonomics have been used as a means of improving job safety as well as efficiency. Posture, tools, tasks, equipment, and movement are all elements affecting ergonomics. How these elements interact with each other affects the positive or negative outcomes of performing any given task. Aligning these elements correctly creates ergonomically accurate tasks. 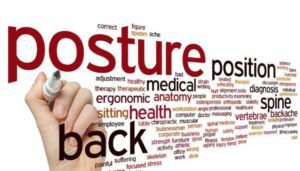 Neutral Posture refers to the resting position of each joint-the position in which there is the least tension or pressure on nerves, tendons, muscles, and bones. It is also the position in which muscles are at their resting length neither contracted nor stretched. Muscles at this length can develop maximum force most efficiently. One aspect of ergonomic redesign is the reworking of tools, work stations, and processes to allow the worker’s joints to remain in neutral position as much as possible. These “neutral postures” are characterized by an upright spine, the absence of twisting or rotation, minimal reach distances, and limbs that remain close to the body’s core. Opposite to “neutral postures” are “static postures” where the environment, tools, and tasks predisposes people to use awkward postures. Excessive force is defined as any force greater than 15% of a person’s maximal voluntary effort (physical effort) which creates a potential for fatigue and injury. There is a wide range of locations where excessive forces can occur but with proper design there is never a need to use excessive force with industrial wheeled carts. Previous post Innovations in Cart Delivery: Quad Steer Cart with Rotate Top. Next post What is Fork Truck Free Cart Delivery?